I came across the concept of LapBooks last year when I was searching for a new and creative way for my students to do their book reports. 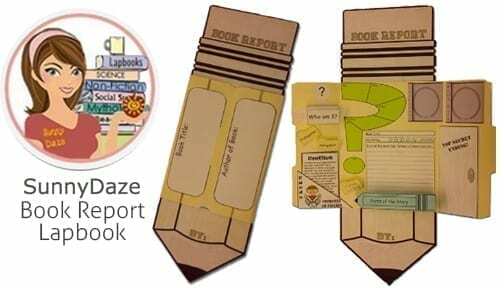 After a quick search on Teachers Pay Teachers, I stumbled across a book report LapBook by SunnyDaze and I was immediately sold! Kuddos to SunnyDaze for creating a unique and innovative alternative to the traditional book report. Lapbooks are a great way to display any project, topic, or unit of study. They are chock full of academic content yet allow for tons of clever creativity. Students love folding, gluing, drawing, and coloring their way through their Lapbooks. Getting to spatially design their finished product is an added bonus too (after all, who doesn’t love to play architect!!) This hands-on approach to learning is enough to get even your most reluctant students motivated. With today’s rigorous standards, our school culture has become “All Work, No Play!” That’s a pretty deadly combination for anyone (especially kids). LapBooks automatically put the fun and engagement back into education. And as far as the completed product? Students will have a tangible creation that they will treasure for years to come. Teachers, students, and parents love the practicality of Lapbooks too! • You can’t beat their price. For approximately $14, you can purchase a box of 150 file folders. That’s just about 10 cents per LapBook! • Lapbooks put an end to the awkward travel associated with cumbersome poster boards. Instead, they fold and fit neatly into a student’s backpack for easy transport. • Teachers no longer need to clutter their classrooms with mammoth like projects. LapBooks have lots of workable space and allow for easy and space efficient display around the classroom. My students loved working with LapBooks so much that I was inspired to create a collection of my own. This modern approach to a book report is super cool! My students loved it! 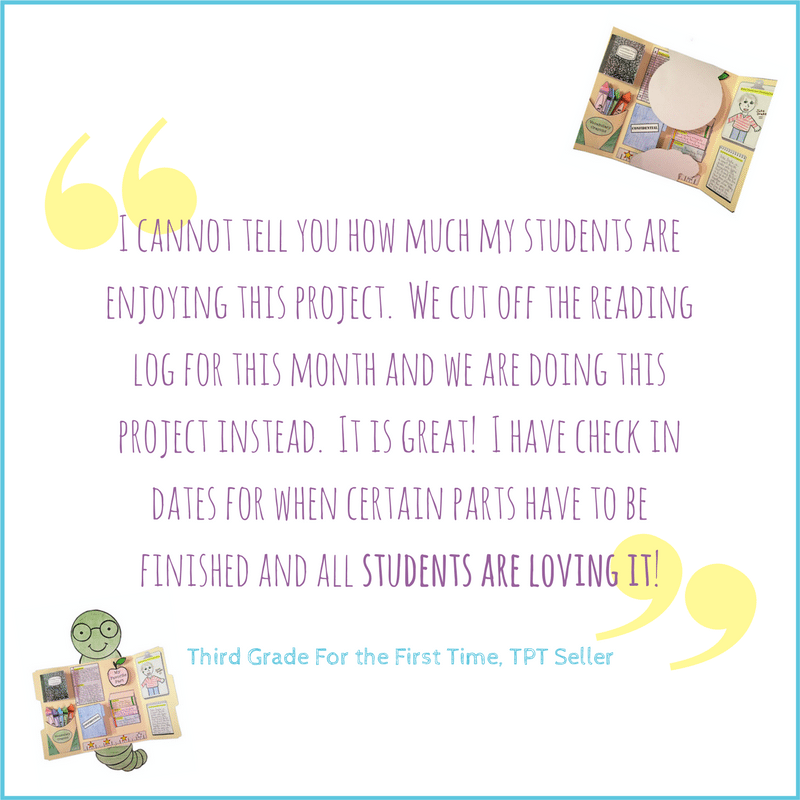 They need to complete all of the essential components of a book report but experience a much greater sense of satisfaction and accomplishment when their LapBook is complete. This Time Capsule can be used at any point in the school year. The project directly shows the growth and maturity of the student over a given amount of time. In the future, when students open their completed Time Capsules, they will get a kick out of their younger selves. Since I am an animal lover myself (check out my cute little puppy, Winston), I decided to create this Animal LapBook so that the students could educate themselves about their favorite animal with something other than the typical Report of Information. Simply, show your kiddos a completed (model) Animal LapBook at the onset of this project and believe me they will be motivated to research their animal (yes, this Animal LapBook’s cuteness is that powerful). Best yet, your kiddos will emerge from their completed Animal LapBook as animal experts. • construct a lapbook cover by using one of our 18 templates. LapBooks…where education and engagement meet!